A couple of years ago, David and I were approached by Keith Barnfather, head honcho of Reeltime Pictures, to discuss a project that he wanted to develop. 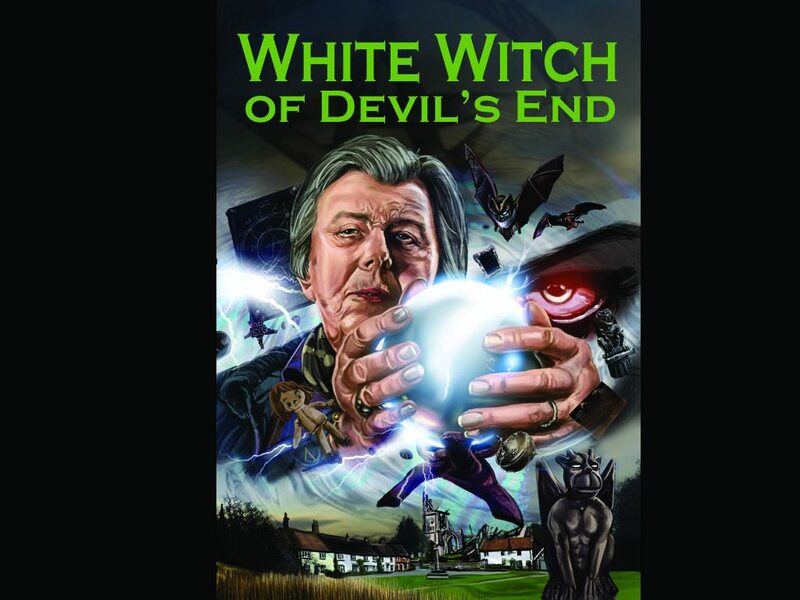 This was related to a character called Olive Hawthorne, who featured in the '70s Doctor Who story 'The Daemons' - which starred Jon Pertwee as the Doctor. The story is one of the most popular of the era, and many fans considered that Olive Hawthorne was a great character, with so much more potential to her than was seen on screen. Keith wanted to tap into this, and to expand on her life and experiences as 'defender' of the little village of Devil's End. We were asked to produce an overall story arc and to commission writers to create a series of 'Talking Heads' style monologues which would feature the original actress, Damaris Hayman, as Olive Hawthorn, now grown old and wise. I was privileged to be the person who devised the proposal, and then jointly edited the scripts with David, making sure they joined up, were consistent, and told interesting and hopefully entertaining stories of Olive's life. We contacted several writers who we felt would handle the subject matter with sensitivity and accuracy. Jan Edwards, Raven Dane, Suzanne Barbieri and Debbie Bennett stepped up and delivered some superb ideas and narratives. David and I also wrote one of the stories each. Later, Big Finish writer, Matt Fitton, was brought on board by Keith to act as a consultant script editor and to give the finished script a final 'polish'. White Witch of Devil's End is planned to be released by Reeltime Pictures later this year, in time for the 50th Anniversary of Doctor Who in November, and we are hoping to have copies for sale in October at the Dimensions Convention in Newcastle. This is my first Doctor Who related project and I am absolutely thrilled to have worked with such a great team to develop and create this script and production.